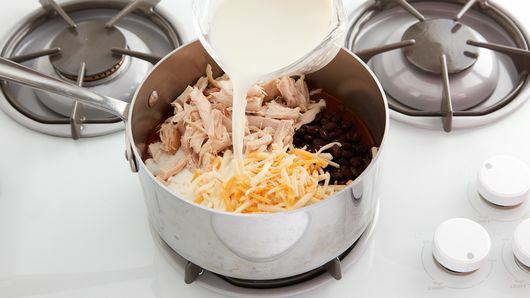 In 3-quart saucepan, mix condensed soup, enchilada sauce, milk, chiles, chicken, black beans and 1 cup of the shredded cheese. 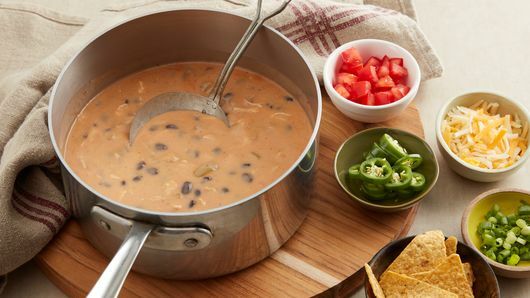 Cook over medium heat about 15 minutes, stirring occasionally, until thoroughly heated and cheese is melted. Top individual servings with remaining cheese and desired toppings. 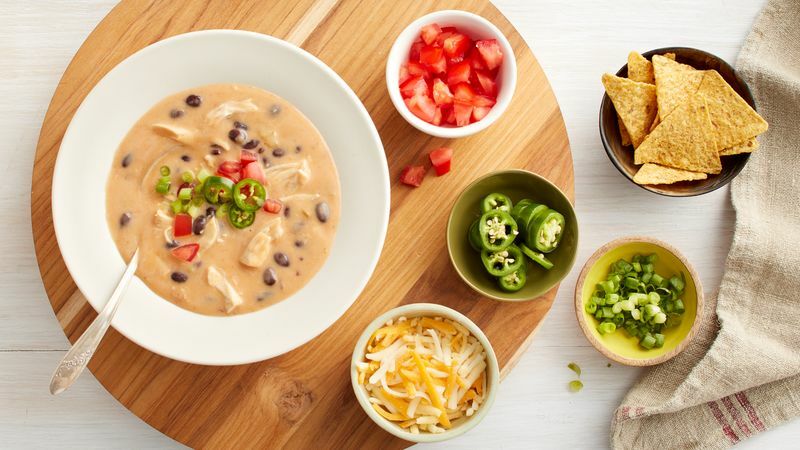 For an extra spicy kick, use shredded pepper Jack cheese in place of Mexican cheese blend. Leftover shredded cooked chicken can be substituted for deli rotisserie chicken in this recipe.